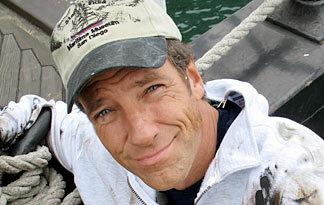 CNN’s Somebody’s Gotta Do It host Mike Rowe was thought, by many Medford residents, to have robbed a Medford bank. When the police’s Facebook page was soliciting tips, many commenters suggested that the robber was, in fact, the CNN host, Rowe. As the NY Daily News reports, Lieutenant Mike Budreau said that the department did not actually put out a warrant for Rowe’s arrest, but has begun receiving an influx of tips about the possible suspects because of the attention surrounding the case.